Tubal ligation is a surgical, permanent, birth control procedure that blocks the fallopian tubes. The blockage prevents the egg from moving toward the uterus for fertilization and the sperm from moving through to the awaiting egg. Tubal ligation reversal is one way that a woman who has had this procedure may possibly become pregnant. Reversal of a tubal ligation is a surgical procedure that is done with the assistance of a microscope and is generally performed in a hospital setting or an outpatient surgical facility. The surgeon removes the portion of the fallopian tube that was blocked in the original surgery and reattaches the two ends to make a complete open fallopian tube once again. Recovery is relatively minimal and should only take a few days. Most doctors recommend avoiding strenuous activity for the first couple of weeks to ensure that healing is well underway. Tubal ligation removal is a good choice for a woman who wants to regain function of her fallopian tubes and be able to have multiple pregnancies. After a tubal ligation, many women opt for IVF or in-vitro fertilization, which does not require surgery, but instead is a one-time procedure to aid in achieving a pregnancy. However, it does not restore fertility the way that a tubal ligation reversal does. As for getting pregnant after this procedure, up to 75% of women who have it done are able to achieve a subsequent pregnancy, according to the Mayo Clinic. The procedure generally leaves the patient with one functioning tube in the long term. Other factors can complicate the chances of getting pregnant after the procedure, especially if only one tube is left viable, but with the right post-surgery regimen and good information, you can greatly improve your chances of achieving a pregnancy after having the tubal ligation removed. One of the biggest hurdles women face after having a tubal ligation removed is scar tissue. In fact, many of the conditions that affect fertility have a direct link to the presence of scar tissue in the fallopian tubes, uterus or on the cervix. These can include pelvic inflammatory disease, endometriosis or even a simple abdominal surgery like having your appendix out when you were in high school. Any time there is scar tissue present in the abdomen, it can have a ripple effect on a woman’s ability to conceive and maintain a pregnancy. Systemic Enzyme Therapy can help the body break down scar tissue that impedes pregnancy. With this type of therapy regimen there is a much better chance of fallopian tube recovery and fertility restoration. While you might think that the surgery alone is enough to restore fertility, there are real benefits to taking the time to utilize systemic enzyme therapy after tubal ligation removal, prior to trying to get pregnant. The main one, in this case, is the reduction of scar tissue, but also important is its ability to reduce blood clotting (shown to reduce the risk for miscarriage), improve circulation, and detoxify the blood and the body in preparation for pregnancy. Depending on how severe the scaring, our clients have seen great results beginning at 3 months of use, sometimes sooner. It will be different for every person, depending on the amount of scar tissue present. Massage is another natural therapy that could help support fallopian tube health after tubal ligation. One of the greatest benefits of massage is the ability to break up adhesions (scar tissue) and increase circulation, which is important for optimal fallopian tube health. There are three options for massage when it comes to supporting the fallopian tubes after a tubal ligation. You can find a massage therapist who specializes in abdominal massage (or better yet visit Clear Passage for specialized treatment), you can book a consultation with a Mayan Abdominal Practitioner, or you can learn how to apply Self Fertility Massage at home. *Note: Do not start massage until you are completely healed from your tubal ligation removal surgery. Check with your healthcare provider before you start using massage. Castor oil therapy has been used for centuries to help with healing issues in the body and, more specifically, the reproductive system. Regular application of castor oil packs over the affected area has been shown to bring about positive benefits such as a softening of scar tissue and an increase in circulation. An increase in circulation helps speed up the body’s natural healing processes by bringing in fresh, nutrient rich blood while simultaneously restoring damaged tissues. Castor oil packs are best applied prior to performing Self Fertility Massage. Both of these therapies should not be used while you are menstruating or if you think you may be pregnant. The final piece of the puzzle for getting pregnant after tubal ligation removal is to get healthy. Increasing your activity level and improving preconception nutrition to include more protein, whole grains, and dark, leafy greens is a great way to get off to a good start before your baby is conceived. Getting and staying healthy is the best gift you can give yourself and your baby. I know it`s probably a slim chance but is there a way to conceive without the reversal procedure? I`ve heard of using red clover and massage even without the procedure. 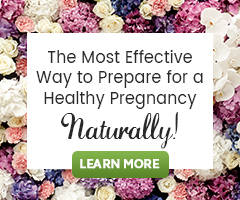 I have heard of people getting pregnant after trying naturally but know it`s probably a low percentage. We don`t have the money for the reversal and it`s a second marriage for the both of us and would love to have a child together. Does anyone know of a place that does payment plans for reversal or somewhere less costly? We do not know Red Clover and massage to be effective at reversing tubal ligation. I’m sorry! I wish I could offer more hope. There are many different types of tubal ligation and it may first help to understand what type was used on you. I too have heard of women with tubal ligation conceiving naturally, but do not know the details of each of their cases, and too would say that this is a very rare occurrence. It may simply take some time to call around to see what clinics near you offer the procedure and will share options they offer for payment. Perhaps searching out an independently owned and operated, non profit community health center in your area may be a place to start. I had my tube tied in Jan. 2015 through elective CS and ever since, my life as never been the same. Please I urgently need a Reversal to stop all the way am feeling right now. Because the Dr. who did the Tubal Ligation said it will not be successful if I opt for reversal. Can I have a successful reversal? You will need to talk with a medical doctor about this. Could you reach out to a new doctor? He/she is best able to help you know the odds of success of tubal ligation reversal for you, and also do the procedure if you elect to do so. Hi 2010 & 2011 had an ectopic pregnancy since then been trying to conceive but no luck… I know 2010 my left tube was removed, then 2011 my doctor never told me what happened. pls advice me how to find out if I still have my right tube and is it possible for me to conceive again? I am sorry for what you have been through! Conception may be possible if your remaining fallopian tube is healthy. Your doctor will help you know the options available to you to know this. Hi, I got my tubal reversal done in October 2014, after the HSG exam they told me that the reversal did not work and my both tubes are blocked. Is there any other option or IVF is the only one? While we have seen success with our program (you can read a few stories here: http://natural-fertility-info.com/testimonial_category/blocked-fallopian-tubes), given the small size of a fallopian tube and how delicate these organs are, any sort of trauma can alter their function and damage the tubal tissues. Once they are damaged it may be difficult to reverse that damage. Fallopian tubes that are severely damaged need special care and we would suggest you work with a specialist who will be able to evaluate your unique situation and determine the best possible course of care. Consider learning about Mercier Therapy which is a deep pelvic organ manipulative technique to help restore movement and blood flow to the reproductive organs in order to improve fertility. The good news is that natural therapies can be used alongside any type of treatment options you are considering, which may greatly help to improve outcome. Please take some time to read the article that our founder wrote about naturally supporting fallopian tube health. Consider learning about Mercier Therapy which is a deep pelvic organ manipulative technique to help restore movement and blood flow to the reproductive organs in order to improve fertility. Another alternative natural therapy is Clear Passages which you will read about in the link shared above. Will this work WITHOUT having hulka clips removed? Tubal ligation (clips or otherwise) is not something herbs, nutritional supplements and natural therapies can reverse. This program is intended for after that is done medically to support fallopian tube health. I have had my tubes tied since 2002 n I would like to now if I un tied my tubes I could become pregneck. Do I go with my Doctor that did my tubilazation or I could see any doctor. Or is there any other way I could become pregneck.by taking medication or herbs..thank you. I can not say for certain if you will be able to conceive naturally after tubal ligation reversal. This will depend on the health of your fallopian tubes and reproductive system post procedure. We do not know of any way to reverse a tubal ligation other than surgery which your doctor would have to do. He/she will be able to share with you your option and also offer insight into the healthy and function of your tubes post procedure. I wish for you peace and you research your options! I have had my tubes tied since October 2007 and since than I divorced my ex husband November 2009 and now I am married again it’s been six months now and my new partner and I want to have a baby is there any hope for me please let me know. That which is suggested here is intended to be used to support normal fallopian tube health post tubal ligation reversal. These herbs, supplements and natural therapies will not reverse or undo a tubal ligation (only surgery can do this). While there is no way for me to know how you and your fallopian tubes will respond to the procedure of opening them or reversing your tubal ligation, there may be hope yes. IVF is the only option. Yes I am one of the woman of tubal reversals and scar tissue can be on my tubes. Red clover vitamins works great to removing scar tissue. Before taking any natural vitamins I researched for a year, please to say for scar tissue removal is one of the many benefits of using red clover. Please any questions google it, then ask your doctor. There’s so many natural vitamins to help and heal ourbodies rather than expensive surgery. Certainly if we don’t know it can hinder our progress in achieving a healthy pregnancy. Blessed Baby dust to all!!!! Thank you for sharing your experience with Red Clover! I had a tubal reversal Sept 2010, we conceived 3 months later and it ended in an ectopic. We conceived again 7 months after that which ended in a miscarriage at 6 weeks. It’s been nearly 6 months since then and nothing is happening. I just found this site and am so excited to try some of these things out. Many women with tubal reversal have gone on to have children. I am not sure about the combination though. Self Fertility Massage, Castor Oil Packs, Wobenzym N and Raspberry leaf are all great ways to support uterine health, removal of scar tissue and adhesion formation. Hello I had my reversal in may 2011 and have been trying to conceive, only to find out my left tube was blocked and my right tube has to much scar tissue. It had a cyst, I just had the cyst removed that’s when I found out about these other problems, so I searched and found this website. I am going to give some of these a try. I feel like all hope is not gone now, thanks to all your valuable information. This is exactly what I needed!!!! Thanks Hethir. I hopfullly will have my reversal in June. Pray that my husbands feet stay hot! Thanks!! !